In the past 15 weeks, more than 130 Palestinians in Gaza have been executed by Israeli snipers, more than 4,000 have been wounded and 15,000 injured with tear gas. At least 43 people have had their legs amputated due to the types of bullets the Israeli Occupation Forces are using and hundreds more will have long-term debilitating injuries from these bullets. The medical system in Gaza is overwhelmed and urgently needs medical supplies. 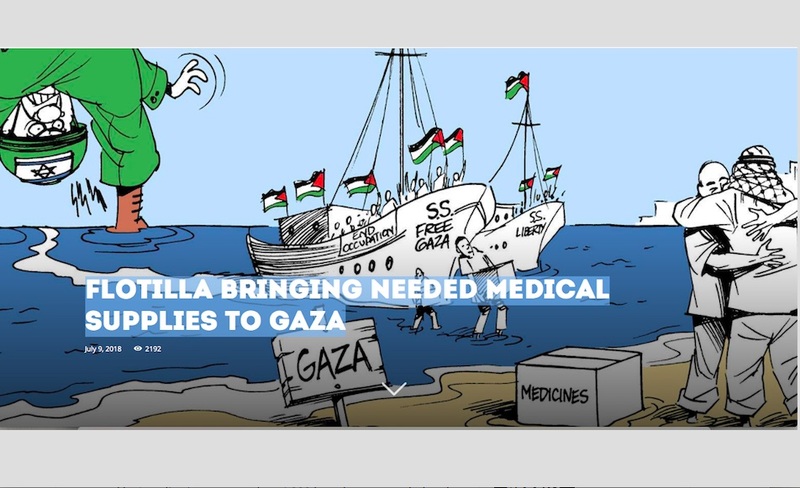 TAlthough the Freedom Flotilla Coalition continues to see our mission’s goal as political solidarity rather than charity or aid, the need for medical supplies in Gaza is too urgent to ignore. As a result, our Right to a Just Future for Palestine flotilla that is on its way to Gaza will carry as many medical supplies as our four boats can safely hold. These are medical supplies that have been specifically requested by Palestinian medical authorities in Gaza – all of them are in short supply due to the blockade. We demand that the Israeli government does not interfere with our boats as they approach, dock and unload in Gaza, in order to deliver the medical supplies directly to hospitals in Gaza City, less than one 1.6 km from the Gaza City harbour. Whatever happens to our boats, we hold the Israeli government accountable for the safe reception of these life-saving supplies by Palestinian medical authorities in Gaza. As an occupying state that has placed a land, air and sea blockade on Gaza, international law mandates that Israel must allow medical supplies into Gaza. The Freedom Flotilla Coalition and its worldwide allies, including those in Israel, will keep the international community and governments informed of any delays in delivering these critical medical supplies to Gaza. People anywhere who wish to contribute to towards the cost of these medical supplies can make donations through any one of our campaigns, designating your donation “Medical supplies for Gaza.” We will use your donations to purchase medical supplies close to our last port of call, Palermo (please do not send us medical supplies though as we do not have the capacity to move additional items to our departure point). Together, we can help end the illegal blockade of Gaza.